How To Buy The Best Wireless Security Camera - Which? A good wireless security camera will give you peace of mind when you’re not at home. Our expert guide will help you buy the best for your needs. The best wireless security cameras will let you know all is well at home when you’re out, whether you want to make sure it's secure or just see how the cat is coping without you. They can also detect motion in your home and record footage of an intruder, with more advanced cameras include facial recognition and two-way audio. While the best security cameras can record in high resolution and are simple to use, bottom-of-the-heap models suffer from poor-quality video, sub-standard app interfaces and cheap build quality. See below for the key things to look for when buying a smart home security camera. Just want to see reviews of high-quality wireless security cameras? 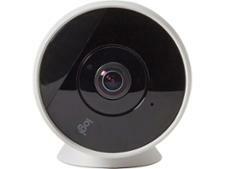 to discover which models we recommend, visit our best wireless security cameras. Wireless security cameras are generally designed for use within the home. However, there are a handful of wireless outdoor security cameras which are weatherproof like a CCTV system. Wireless security cameras aren’t necessarily wire-free, the term ‘wireless’ meaning they connect wirelessly to your existing wi-fi network. Most wireless security cameras are plugged into the mains, with a few of these offering some back-up battery time in case of power failures. However, there are battery-powered, wire-free security cameras, which are easier to position as they doesn’t need to be near a power source. But bear in mind this does mean you’ll have to charge the battery or pay for new ones if they’re disposable. One of the key decisions you’ll need to make is whether you’d prefer a camera with cloud-based or internal storage. Cloud-based online storage allows you to store your recordings remotely online and easily access them over the web from any device. Online storage also means you won’t have to worry about losing an SD card, and you’ll still have footage even if your device is stolen. On the other hand, there are some privacy concerns about cloud-based storage, as your data will be transmitted and held online. Most wireless security cameras use a cloud-based storage system, but the level of free storage varies and some offer none at all. Check out how much free storage is on offer, as extra cloud storage can cost as much as £9.99 a month. Internal storage is available with some cameras, and your footage will be stored on an SD card rather than in the cloud. This means you’ll be able to cut costs, as you won’t need any subscription plan to save your data to the cloud. You can buy SD cards with plenty of storage capacity, so you can record a reasonable amount before changing or clearing the card. Although your recorded footage won’t leave the device, and so your data isn’t being transmitted and stored online, if someone burgles your home and steals the device, they will have access to your recordings. As well as connecting your wireless security cameras to your devices to manage and view footage, some wireless security cameras also are compatible with other smart home devices such as light bulbs, pet food dispensers and doorbells. As more household items become internet-connected – such as fridges and thermostats – a smart home hub provides a centralised way to control them all. These hubs allow you to turn multiple gadgets on or off with a swipe of your finger via a mobile app or even with your voice. For example, Nest and Arlo cameras are compatible with Amazon Alexa. A good wireless security camera will seamlessly switch between day and night modes, and should be able to pick out the same level of detail even in low light. For night vision, most devices use either LED lights or infrared, or a combination of the two. This is the most important aspect of the security camera, especially if you want to identify someone. All wireless security cameras support at least 720p resolution (1,280 x 720 pixels), and some record in 1080p (1,920 x 1,080 pixels). A higher resolution will generally mean higher-quality footage, although 720p is usually clear enough to make out faces. Ideally you want the best video resolution possible – no less than Full-HD (1080p) – so the images are clearer and easier to see. If you want to hear what’s going on in your house – whether it’s a knock at the door or the dog barking while you’re out – look for a wireless security camera with one-way audio recording. If you would like to be able to communicate with the people or animals in your home, for example, to tell your children to get on with their homework or the dog to get off the sofa, two-way audio is what you need. Wireless security cameras with this feature will trigger recording when motion is detected. Some will send an alert to the app on your phone or via email. One handy feature to look out for is the ability to set up a schedule so that motion alerts are enabled only when you know you'll be out of your home. Most wireless security camera apps will be compatible with both iOS and Android, but check that the app will work with the version you have. A simple-to-use interface will make it easier to live-stream footage or view recordings. Before buying your wireless security camera, check whether all app features, such as setting a schedule or sharing footage, come as standard, or if you will need to pay extra to unlock the full functionality. Which brands make wireless security cameras? As home smart security becomes more popular, there are more and more brands on the market. Some of the most popular are Nest, Arlo and Hive as well as brands such as Motorola, Netamo and Logitech. Nest specialises in smart connected home products. As well as making a variety of indoor and outdoor security cameras, it also manufactures the Nest Hello smart doorbell as well as thermostats and smoke and carbon monoxide alarms. 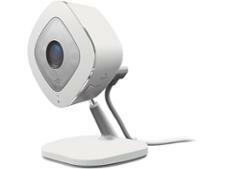 Arlo, previously part of Netgear, is now a standalone company which manufactures many connected home products, including multiple wireless indoor and wireless outdoor security cameras. Hive produces a range of connected products, including indoor and outdoor wireless security cameras. It also produces its own smart home hub, the Hive Hub, which allows you to connect and manage all Hive smart products in one place. Although you’ll probably recognise the name from mobile phones, Motorola has a range of security cameras, made by Binatone. Towards the cheaper end of the spectrum, they’re more budget friendly. Netamo is a relatively new company, creating connected products for the home. It has multiple security products on offer, including smart indoor and outdoor wireless security cameras, as well as others like smart indoor sirens, sensors and smoke alarms. As well as offering a variety of computing accessories, Logitech also makes the Circle 2 home security camera, which works with a range of smart hubs including Amazon Alexa, Apple HomeKit and Google Assistant. An excellent video camera, this is one of our top-scoring models and a superb Best Buy. It captures high-quality video whether it’s day or night, and has great audio and sound detection. It's also easy to set up and there are web-based tools or the mobile app for extra control. The cloud storage plans are also respectable. This is one of our joint top-rated wireless security cameras. You'll get clear and bright footage and the full-featured and easy to use app delivers prompt alerts with plenty of information. 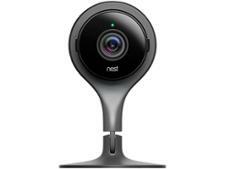 The camera has a 180 degree wide-angle lens and can be integrated with a wide range of smart home systems. This wireless security camera manages to give great picture quality, even at night. Alerts are great, so you’ll receive timely notifications if motion is detected. It also takes security seriously – it transmits data using secure encryption methods which prevent potential hackers from accessing your network. Although the very best come at a high price, there are plenty of high-scoring cheap wireless security cameras available. Head over to our top five cheap wireless security cameras page for a roundup of recommended models. Can I buy a wireless security camera that's unhackable? As with any internet-connected device, data privacy and security are of the utmost importance. While the camera may record first-class-quality video, the camera isn’t fit for purpose if it has weak security setting, making it vulnerable to being hacked. So how can you stop hackers and other nefarious users from finding your camera(s) on the internet and watching you? Although there aren’t any wireless security cameras which are ‘unhackable’ per se, you can follow these simple steps to greatly reduce the risk of someone accessing your footage and device. Update your camera’s firmware Most wireless security cameras feature firmware that can be upgraded by you. If a vulnerability or attack vector has been identified by the manufacturer, often it will release a firmware update to remedy the issue. You can update the camera’s firmware via the admin settings and it’s worth periodically checking the camera manufacturer’s website to see if there are any applicable updates. Rename the default login details Your camera’s default admin and password details can be easily found online. Taking the simple step of changing your login details will help keep a novice hacker at bay. Password-protect your cameras Some wireless security cameras don’t have password protection enabled by default. After the initial setup, go back to the admin settings and create a strong password, and change it periodically. Use wireless encryption You should only join your camera to wireless networks that support WPA2 encryption. This means that communications between your router and camera are encrypted so people can’t view what your camera sees via the internet.